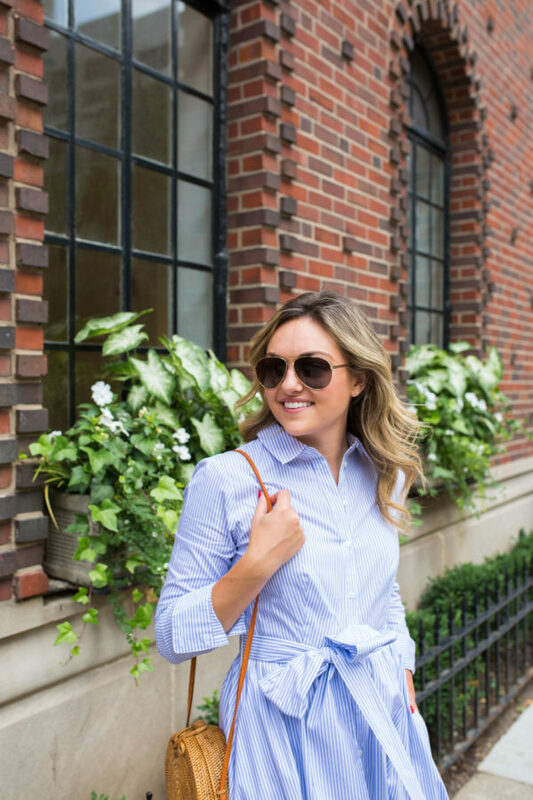 This striped shirtdress was one of my favorite buys from the Nordstrom Anniversary Sale! I love the blue and white stripes, I love the midi length, I love the bow-tie detail at the waist, and I love how well it fits. And I loved the price, too! (It’s just under $85.) Plus, it’s wearable for spring, summer, and fall. Check, check, check. It’s a must-have in my book! I’m wearing a 4 and I’d say I’m typically a 4/6. If you’re usually in between sizes, too, I’d recommend sizing down. I can see myself wearing this dress well into the fall, too! You can easily remove the self belt and toss a nice leather belt over the top to make it even more transitional. It would be cute with a light leather jacket and booties as temperatures cool down in the fall. How freaking cute are these new sandals I just got? I absolutely love them and am already wanting them in other colors. I have a wider foot and knew that these wouldn’t have much give, so I sized up and they fit perfectly! (I’m usually a 8.5 and am wearing a size 40.) If you want to snag a pair for yourself, use code JESSICA40 at checkout for $40 off! 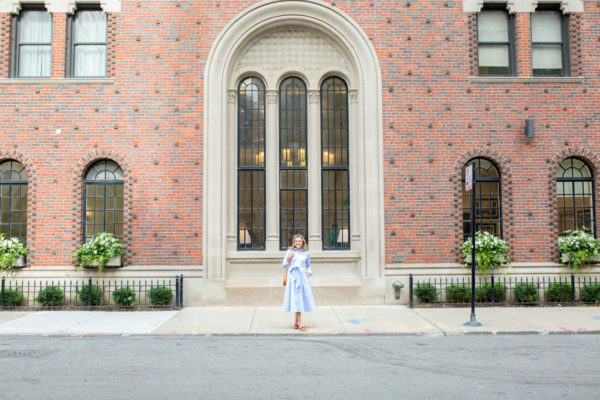 Your shirtdress is absolutely perfect! All about bow slides recently! These are adorable! 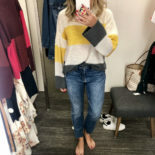 You must be having cooler weather than some parts of the US at the moment, long sleeves and calf-length would make me oh so warm in LA right now! Lovely , These photos could not be any more fabulous! Absolutely love your look and chic sunnies!